Despite the large volume of research into the ecotoxicology of nanomaterials, a mechanistic understanding of their toxicity is still fundamentally lacking. The main aims of my work are to determine if two of the most widely used and commercially important nanomaterials (silver and cerium oxide) induce harmful health effects in fish through oxidative stress. 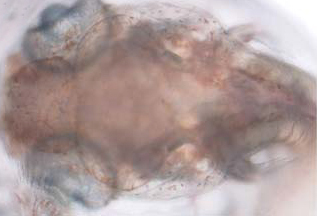 I am developing a transgenic zebrafish line that will help us identify the target tissues for oxidative responses. In addition, I will be using advanced analytical methods, such as stable isotope labelled nanomaterials and Coherent Anti-Stokes Raman Scattering spectroscopy, to trace the uptake and localisation of nanomaterials in tissues. This research will help us establish whether silver and cerium oxide nanomaterials induce oxidative stress and are likely to cause significant environmental hazards for fish. This interdisciplinary project is a collaborative endeavour bringing together the Universities of Exeter, Birmingham, and Imperial, with internationally leading expertise and facilities for research into the synthesis, characterization, and risk assessment of metal/metal oxide nanomaterials, isotope geochemistry and molecular ecotoxicology. Mourabit, S., Moles, M. W., Smith, E., van Aerle, R. and Kudoh, T. (2014). Bmp suppression in mangrove killifish embryos causes a split in the body axis. PLoS ONE, 9(1): e84786. Mourabit, S., Edenbrow, M., Croft, D. P. & Kudoh, T. (2011). Embryonic development of the self- fertilizing mangrove killifish Kryptolebias marmoratus. Dev. Dyn. 240: spcone. Note: journal cover photo. Mourabit, S., Edenbrow, M., Croft, D.P., and Kudoh, T. (2011). Embryonic Development of the Self-fertilizing Mangrove Killifish Kryptolebias marmoratus. Dev. Dyn. 240, 1694-1704. Mourabit, S., Rundle, S.D., Spicer, J.I., and Sloman, K.A. (2010). Alarm substance from adult zebrafish alters early embryonic development in offspring. Biol. Lett. 6, 525-528. Discovery Channel Canada (Daily Planet January 20, 2010) on alarm substance from adult zebrafish alters early embryonic development in offspring. Mourabit, S., Rundle, S. D., Spicer, J. I. & Sloman, K. A. (2009). Alarm substance alters early embryonic development in two Danio species. Comparative Biochemistry and Physiology Part A: Molecular & Integrative Physiology 153, S105.